Hi All, now i have a UK keyboard thanks to Bagpuss22 (i had german before) i was wondering how i make :uk default, so i dont have to type it each time i start up. Is it a jumper or is it the actual ROM image? How many ROM chips in your cartridge? In the most of german cartridges you see two ROM chips. The part number '08-46' is the IS-BASIC, '08-59' is the german extension. 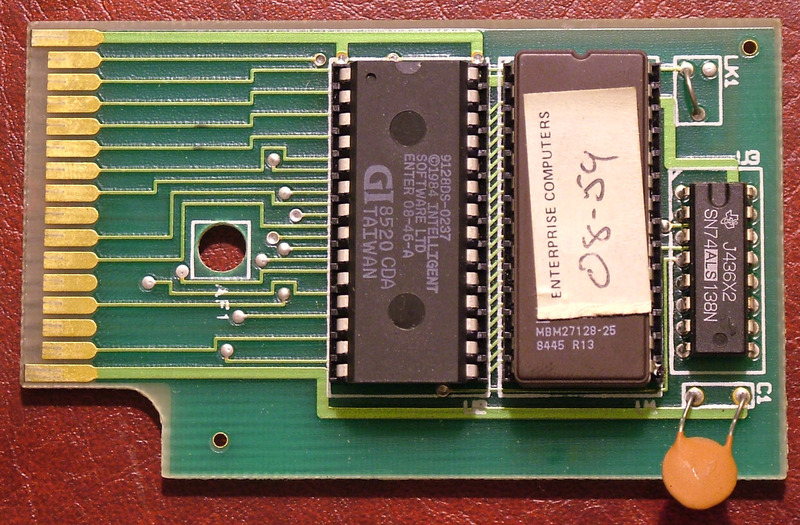 I had two ROM chips (one ROM one EPROM) just like the picture.